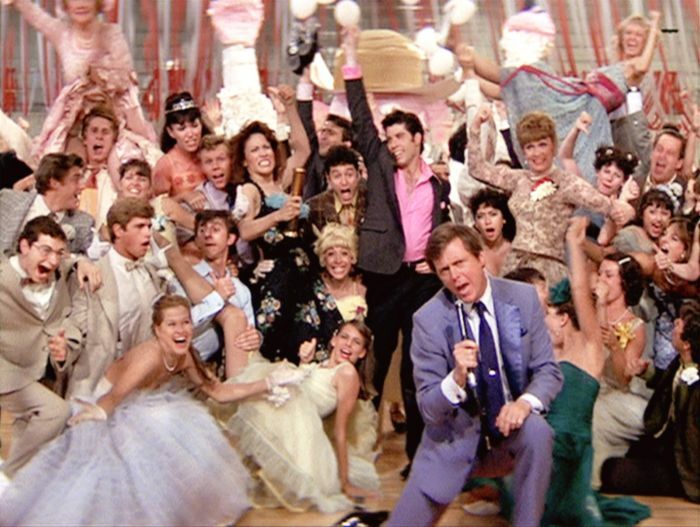 Try not to feel old when we tell you this, but it’s been almost 40 years since Sandy, Danny and the rest of Rydell High first appeared on the big screen. Since then Grease has become a global phenomenon, cementing Olivia Newton-John and John Travolta‘s celebrity status. 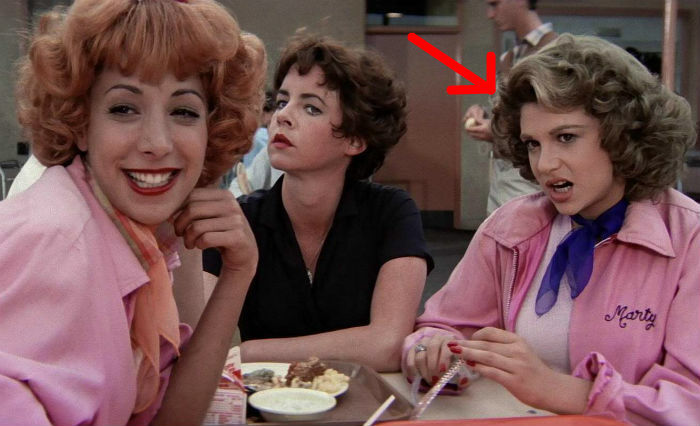 To this day fans are still re-watching the film and arguing over which classic song is the best, but unless you’re a true Grease fanatic there are some secrets about the movie you might not know. The actress who played Jan, Jamie Donnelly, started going gray in her late 20s, so she had to dye her hair during filming. But as we’ll learn, she wasn’t the only cast member who was a little too old to be in school…. A number of actresses were in the running to play Sandy, including Marie Osmond, but princess Leia herself, Carrie Fisher, came the closest to almost getting the starring role. Henry Winkler was also almost cast as Danny. 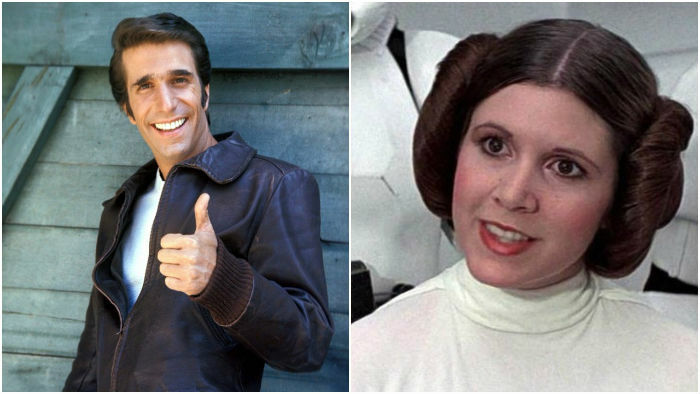 Leia and the Fonz in Grease? What a different movie that would have been! Sandy’s transformation at the end of the film surprised the audience, but the actress got a surprise of her own. The zipper on Sandy’s extremely tight leather pants (which John actually owned) broke, and she had to be sewn into them before every take. 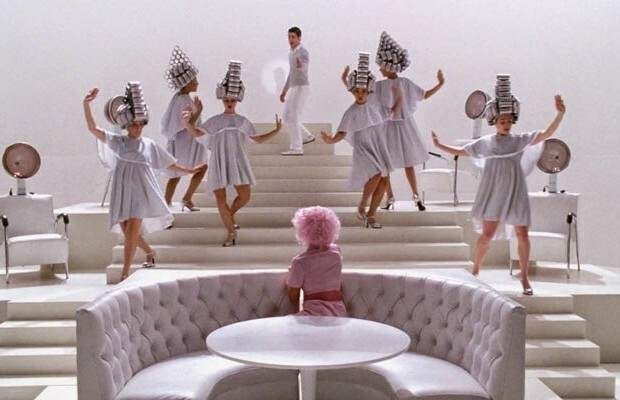 The 3-story set for “Beauty School Dropout” and Frankie Avalon’s performance are both highlights of the film, but they didn’t go well together. Avalon is terrified of heights and the steps were very slippery. The singer threatened to leave the film, but changed his tune after the crew piled mattresses next to the stage. It’s a good thing they saved this scene, because its one of my favorites! The “Hand Jive” dance number was filmed during a heat wave in a window-less gym, and lots of dancers passed out during the 2-week shoot. Filming the drag race scene in the L.A. culvert also sent cast and crew members to the hospital, because the stagnant water was full of bacteria. In every musical number there’s always one Pink Lady who doesn’t get on her feet and dance: Marty, played by Dinah Manoff. Why not? The actress simply couldn’t dance, so she sat on the sidelines. 8. Ever wonder about these blurry pictures? Grease had a deal with Coca-Cola to add product placement into the movie, but the company backed out at the last minute. The filmmakers actually blurred out some of the ads instead of leaving them in, confusing a generation of movie fans who wondered what exactly was in this picture. 9. Remember Bart, Bubba and Moose? After the movie had finished shooting, the filmmakers realized that Sandy didn’t have her own solo ballad. They called back Olivia Newton-John to film a new composition, “Hopelessly Devoted To You,” which went on to become the only song from the movie to be nominated for an Oscar. We’re lucky Olivia wasn’t too busy to do re-shoots, or else this amazing song would never have been recorded! Remember when Coach Calhoun shouted “See you in summer school!” at the end of the film? A sequel set in summer school with the same characters was planned, but it fell through and we got Grease 2 instead. The original plan for Grease was to make an animated movie based on the hit Broadway show. The producers realized it was better suited to being a live-action film, but their first idea still survives in the film’s animated opening. Did you know every fact? 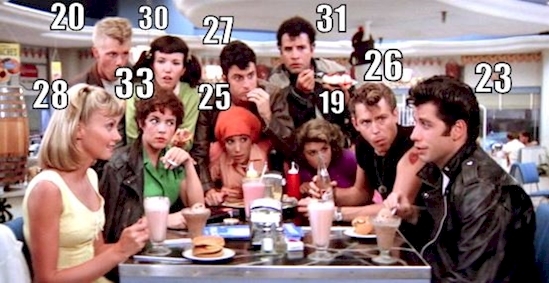 Share this list if you love Grease!